What if how to lose weight stopped being the goal and it was replaced with a focus on the quality that you are living every day? What if that healthy lifestyle was not what you thought it was? What if a healthy lifestyle is not a list of rules of what to eat and what not to eat and how to exercise and how hard and how much, but rather, a sense of aliveness that comes from within you? How do we connect to this aliveness within? Could a truly healthy lifestyle arise from building a quality of energy that you live in day to day? Indeed, is it possible that how you live day to day matters? "One day you will choose to re-connect to your inner-most, and then, each moment of that day, you will be so connected and so love-filled that you will say -- how on earth did I ever walk around so disconnected, so lifeless, loveless and so empty?" Some foods run counter to this connection – foods that make you racy or foods that make you dull, are all going to have an impact on how you connect to yourself and then, as a flow-on effect, how you live each moment. For example, if I am racy I am not going to find the stillness to connect to me; if I am too dull because I ate four slices of toast, I am going to feel so heavy I won’t connect to me either and will make choices that keep me in the same dullness/raciness. Instead of forcing your body into a relentless exercise regime, what if the best exercise to lose weight was gentle consistent walking and a light weights program? What if the best exercise to lose weight was not done with a focus to burn calories, but with a focus to connect to our innermost selves? 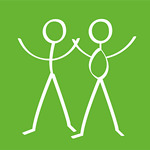 This is a very different approach to losing weight and asks you to discard many ideals and beliefs around weight loss. Our approach as to how to lose weight focuses on each and every moment and the quality of you in that moment. Instead of rushing through life, we are being asked to build a quality of presence in each moment that is worth living. Many of us have found that this is how to lose weight for good. Is it possible that there is a way to lose weight, but that it is very different to what you think?